I love home coffee brewers. Not only are they more convenient than driving to a coffee shop, they’re also cheaper in the long haul. Traditionally, I’m used to brewing hot coffee in my home brewer, but with hotter weather, sometimes you want a cooler beverage to enjoy. That’s where Brew Over Ice K-Cups come in. I love the different Brew Over Ice varieties. I was already familiar with Brew Over Ice Lemonade and Southern Sweet Tea, but was excited to learn that there are even more options – from Snapple Iced Teas to Green Mountain Coffee Iced Coffees. 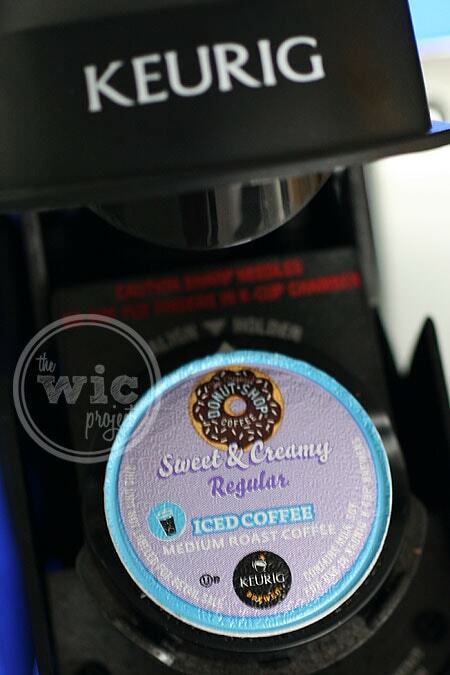 For today’s iced beverage, I decided to brew The Original Donut Shop’s Sweet & Creamy Regular Iced Coffee. 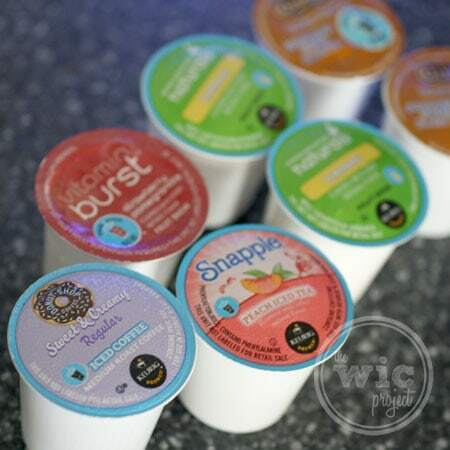 To brew up Brew Over Ice K-cups, you use them just as you would any other K-Cup. Select the beverage you want to brew and put it in your brewer. Then, select the 6 oz. or 8 oz. setting on your brewer and fill your cup with ice. You want the lower setting because the ice will melt as you brew. Choose the 6 oz. for a little more flavor, 8 oz. if you want it a little weaker. With the sun shining brightly today, the Original Donut Shop Brew Over Ice Iced Coffee was the perfect beverage to brew. It has a great coffee flavor that is still smooth with a hint of sweetness. It tasted just like an iced coffee I might pay $3-$4 dollars but without having to shell out the cash or get in the car. Just add ice and brew! 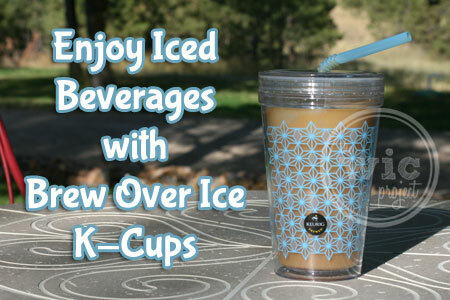 If you’d like to try one of these tasty Brew Over Ice beverages, make sure you download this $2.00 product coupon so you can save! 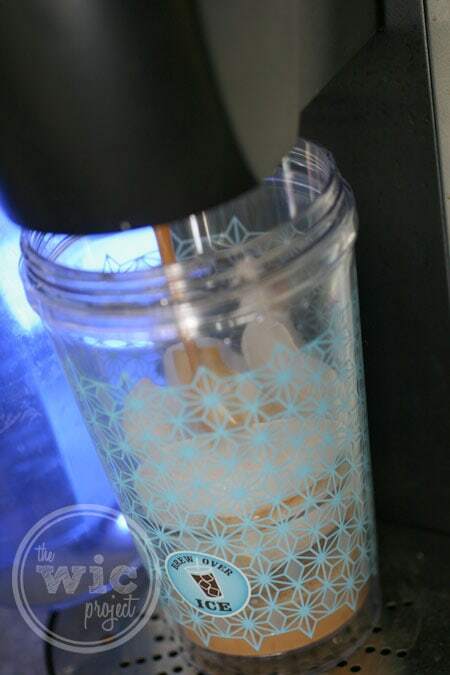 Wouldn’t it be great to enjoy some iced coffee with some extra cash in your pocket? Head over to the Brew Over Ice Sweepstakes page and enter for your chance to win instant daily prizes and the $10,000 grand prize! 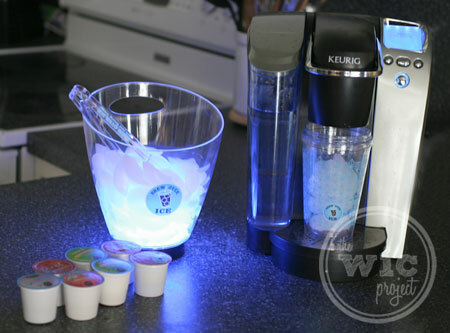 One winner will receive a Brew Over Ice Prize Pack which includes 3 Brew Over Ice K-Cup® samples, 1 Brew Over Ice tumbler, 4 Brew Over Ice coasters and 1 Brew Over Ice light-up ice bucket with ice tongs. I want to try the Vitamin Burst Acai Berry! Would love to try the Snapple Peach Ice Tea. Thanks for the chance! Celestial Seasonings Southern Sweet is my Favorite Brew over Ice….. so far! I want to try the sweet and creamy iced coffee. I want to try the snapple peach iced tea flavor. I want to try the Sweet & Creamy Regular Iced Coffee or any of the flavored Snapple Iced Teas. I would like to try their Snapple Raspberry Iced Tea. I would love to try the Snapple Peach Iced Tea. I wish they didn’t use aspartame in their products. I had to throw away an entire box of the peach tea because the aftertaste was so horrible. Just use sugar! I’d like to try the Snapple Peach Iced Tea. I think the Nantucket Blend Iced Coffee is great. I most want to try the Sweet & Creamy Regular Iced Coffee and the Peach Tea. Yum! The sweet and creamy iced coffee sounds delicious.